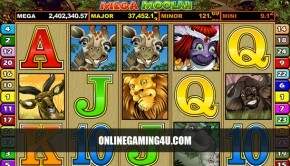 Summary: Monopoly Slots is an amazing slot game with amazing board-game-theme and special features. Unless you have been living on the moon for the duration of your entire life until now then you will have no doubt played the all time classic board game Monopoly or at the very least have heard of this little gem. The mustached legend of the board gaming world has now taken the web by storm with a number of online games you can play relating to the ever popular Monopoly brand. There are a number of Monopoly games floating around the internet available for you to play including, Pass Go, Here and Now, On a Roll, Where in the Money and more. The biggest and best so far in our opinion is definitely the Monopoly slots games, offering hours of entertainment and of course huge cash payouts. 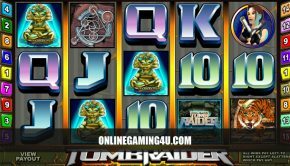 The world’s best loved board game is the UK’s most exciting and rewarding video slot game. Monopoly with Pass GO Bonus combines plenty of pay-line action with two brilliant Bonuses. Land yourself 3 Community Chest Instant Bonus symbols and pick one to reveal your award multiplier. 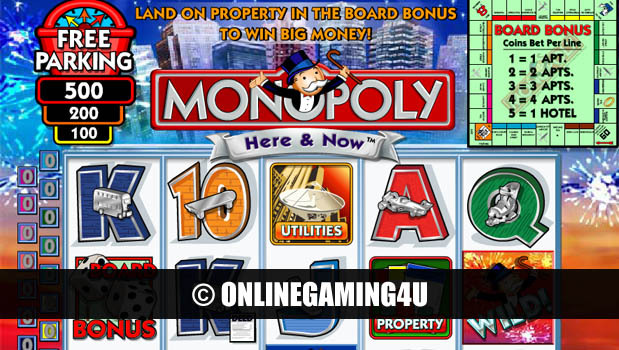 Monopoly On a Roll is also a great online casino game. It is a unique way of playing the famous Monopoly board-game and you can choose to play for free or real cash money prizes. When you take a trip around the Monopoly Board, you’ll win more than Monopoly Money! The general idea is to place bets on your favourite properties and roll the dice. Land on your chosen property and win cash prizes. Land on one the bonus spots for extra excitement and rewards. To begin playing Monopoly On a Roll online you must first select your personal playing piece. Place wagers on individual properties or on groups of properties by colour and once all your wagers have been placed; press the roll button to begin play. As with the original Monopoly classic board-game; two dice will roll when you press the roll button, and the game piece moves the number of spaces indicated by the dice. For example; if you roll 5 and 3 the piece will move 8 spaces, starting at GO. If the playing piece lands on a property on which you placed your wager, you will win the payout displayed on the property. If doubles (e.g. 3 and 3) are rolled, you get to roll again. You can roll up to three times, as long as you continue to roll doubles. If you roll double dices in Monopoly On a Roll; on the third roll, you are sent to the Jail Bonus. In the Jail Bonus, you get 3 chances to roll doubles and collect a bonus. Rolling double dices on your 1st roll will earn the highest award. All Jail Bonus awards are based on a multiple of your total stake. Monopoly On a Roll is packed full with great bonuses and exciting scenarios to keep your juices flowing, including; roll doubles and throw again, accumulate big payouts as you go, roll doubles three times in a row, and go straight to the Get Out Of Jail Bonus, land on Free Parking and win up to 3x all of your bets on the board. In addition to these great bonuses, if you land on GO, you will instantly win 3x all of your bets and if you pass GO, all property payouts double. Land on Chance to be transported to another spot on the board.